There is a new music teacher at MES! He has a growth mindset, loves crazy socks, and of course, likes music because it’s his passion. It’s Mr. Winslow! As some students know, he has been teaching at MES for three years as a 3rd grade teacher, but this year he is teaching music. In music class, students are learning about tempo (slow or fast), dynamics (loud or soft), reading rhythms (ta ta tae tae ta), and genres of music (classical, blues, etc.). But one of the most important things is finding their singing voice. Mr. Winslow has quite a few music hobbies. 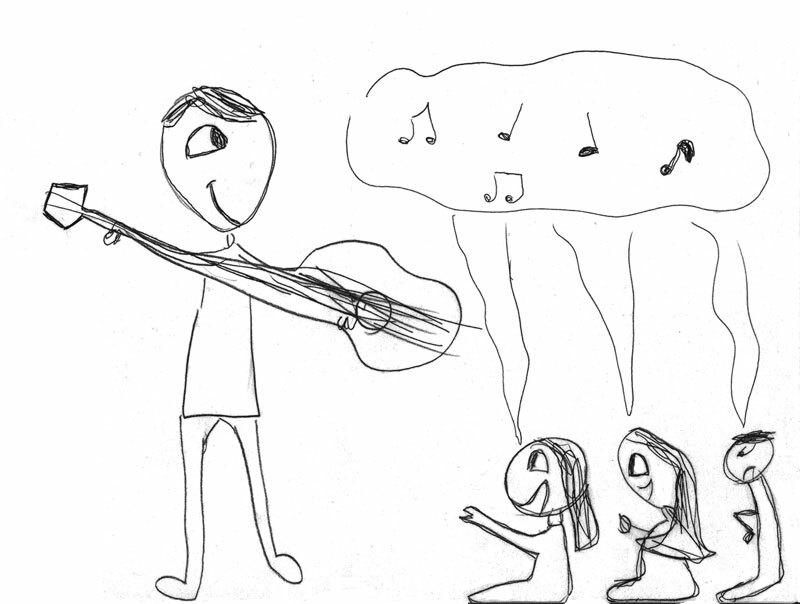 He has been teaching himself ukulele, while he has been playing the piano and has been writing a song called “The Three Bes” – be respectful, be responsible, and be safe. Mr. Winslow says, “Music changes everything.” Keep having fun in music!